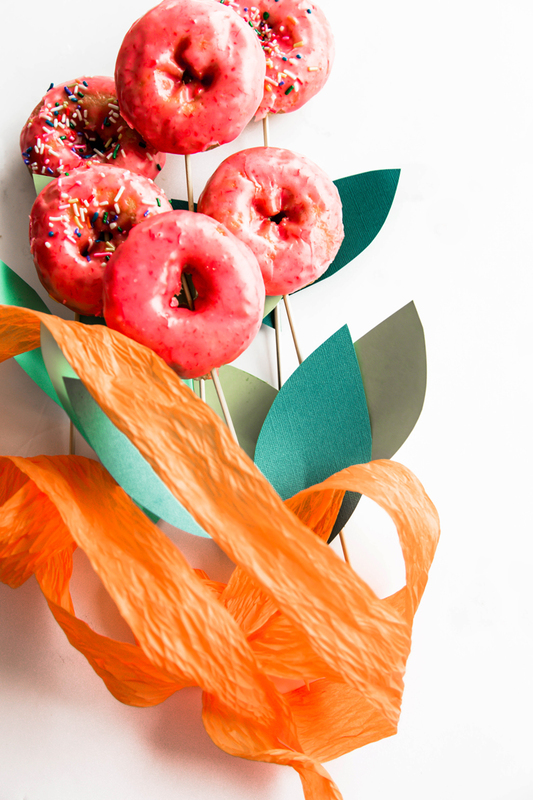 Making a Donut Bouquet really is the best birthday idea ever. Whether you’re making one for yourself (happy birthday to me! ), or for a friend, coworker, kid. Everyone will love you when you show up on the scenes with a bouquet of donuts in hand! And with a little craftiness up your sleeve this donut bouquet will look as great as it tastes, all in about 10 minutes or less. You know we are big fans of birthday cake around here. Cake for days! Cake for always. 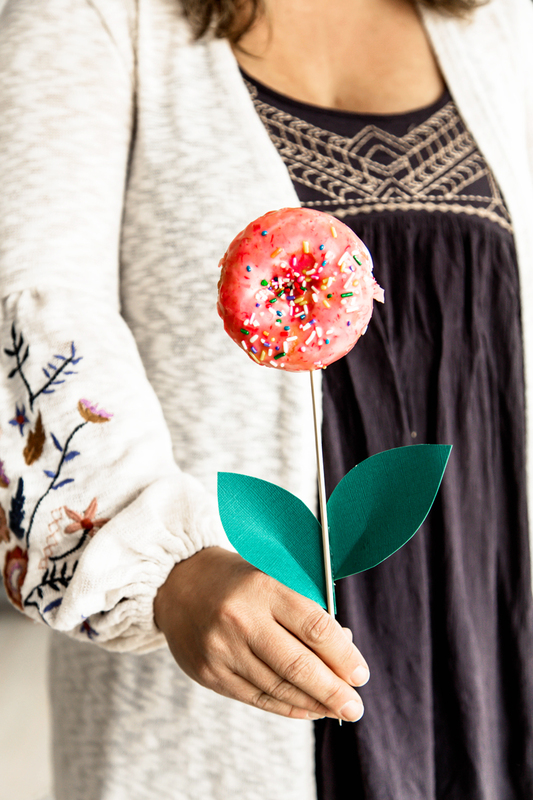 Birthday cakes are our jam… but then I was told about this magical thing called a donut bouquet and my heart skipped a beat. Not only is making a bouquet of donuts crazy easier than assembling an ENTIRE cake. But it’s also simpler to eat, and everybody loves a donut! 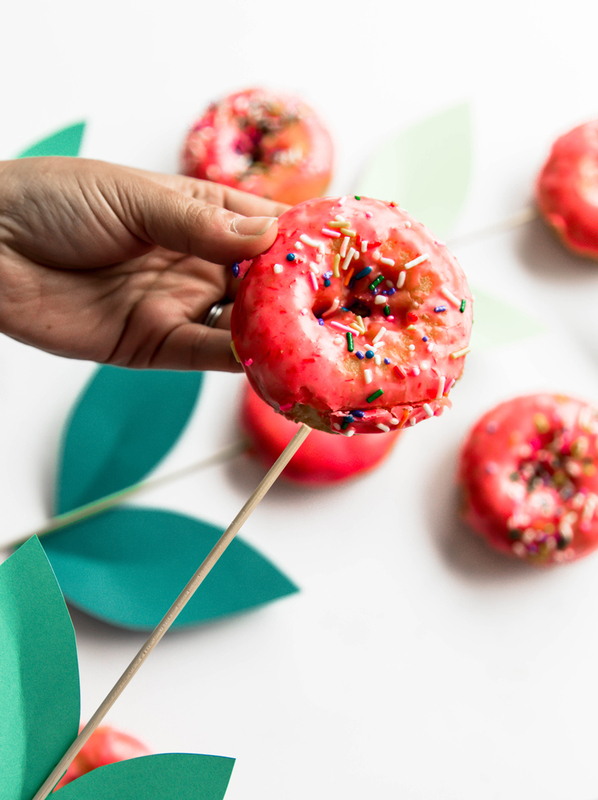 Wrap this donut bouquet up in a box and bring it into the office or the kids classroom for a birthday that will ensure everyone gets a bite. Donuts in your favorite hue (here’s a rainbow donut recipe we love and our brightest tips on how to make donut glaze if homemade is what you’re after). 1. 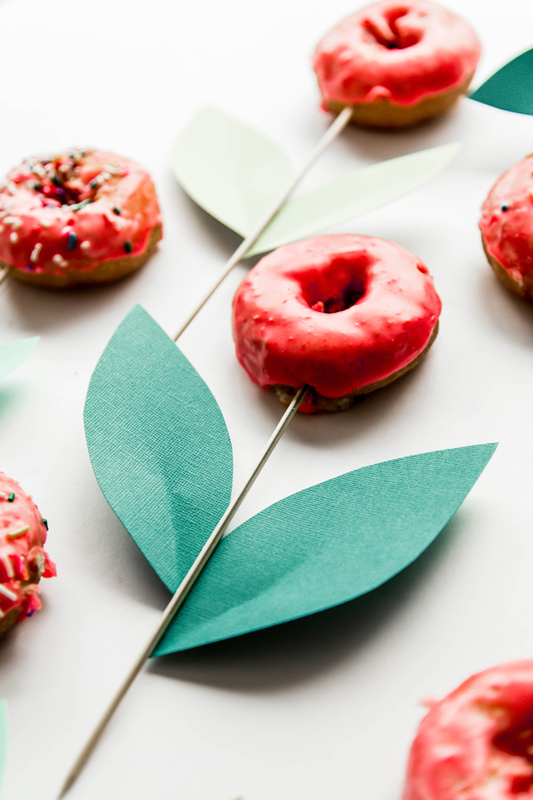 To make your donut bouquet start by cutting leaf shapes out of paper. Crease at the center/enter. 2. Using a glue gun, glue leaves to the wood skewers. 3. Poke a donut at the top of the skewer. This is in essence the only step that is actually needed if you are short on time. 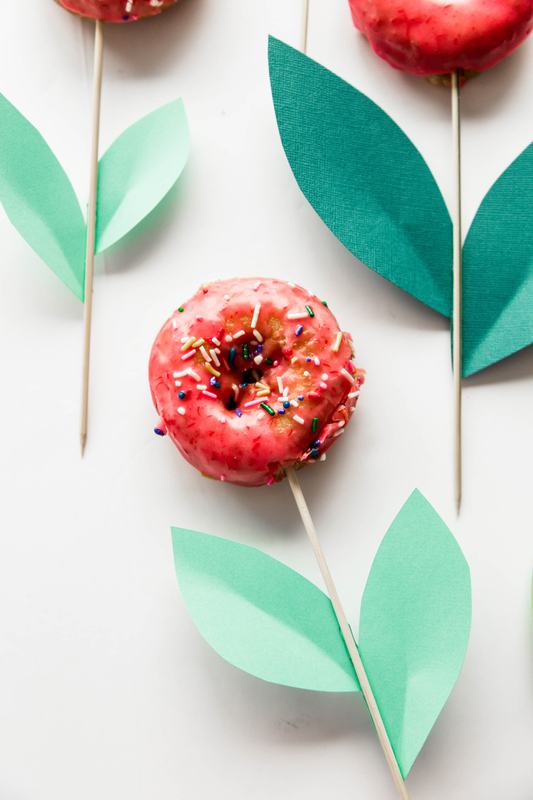 The leaves add extra fun, but when you’re running late and still want to bring a donut bouquet. Just sticking them in the skewers and wrapping the whole things up in paper like a bouquet will do the trick as well. 4. Bundle the bouquet of donuts together, add sprinkles, candles, all the fun! I love the idea of gifting this donut bouquet in a long box – much like you would a box of roses. Or you can display it in a fun vase to sit on someones desk. Now don’t get my wrong, I still love a good birthday cake, especially when it’s mixed with a donut! Remember this donut cake we made?? 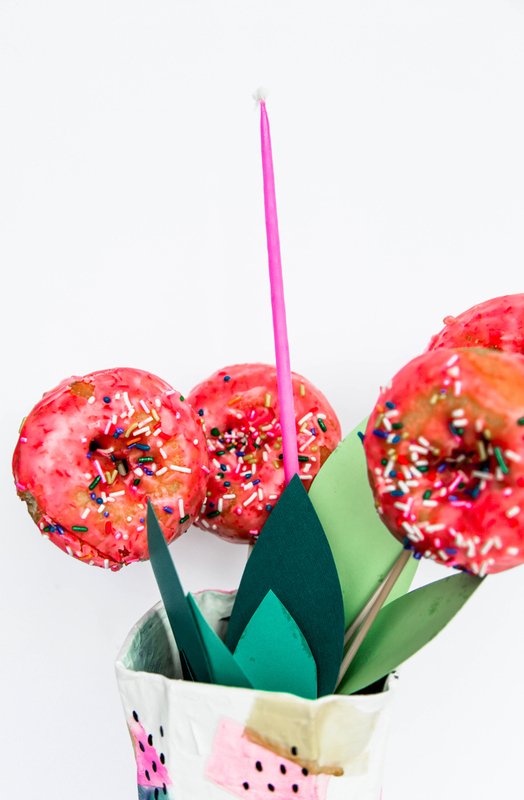 But, there’s something about this donut bouquet that feels fresh and fun to celebrate with. 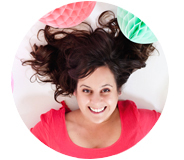 And I’m not sure about you, but if I could choose between a fruit bouquet or a donut bouquet being delivered on my special day…. I’m picking donuts everyday! Stick a wildly long candle or two in the bouquet and light them to sing happy birthday in the office. 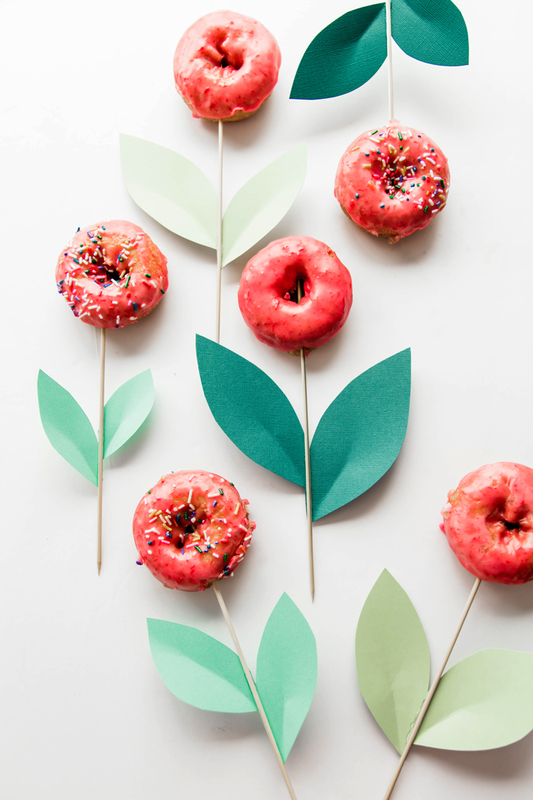 Make a donut flower to include in the bouquet for every person in the room and wrap up napkins at the base, making this a birthday treat that cleans up after itself. Hooray! PS. Another donut way to start the day off right is with these cute mini chocolate donuts we made into Toucans! So fun. such a fun idea, thanks for sharing!